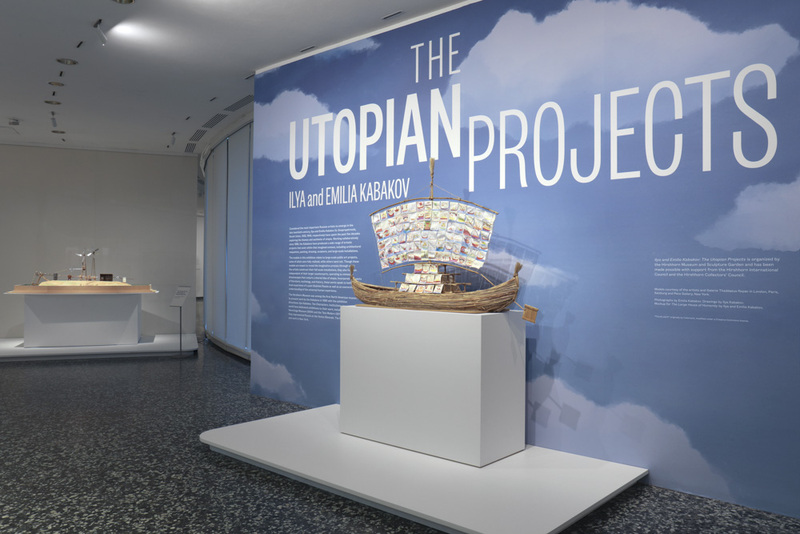 Ilya and Emilia Kabakov: The Utopian Projects was curated by Stéphane Aquin, Chief Curator at the Hirshhorn Museum and Sculpture Garden with curatorial assistance from Sandy Guttman. 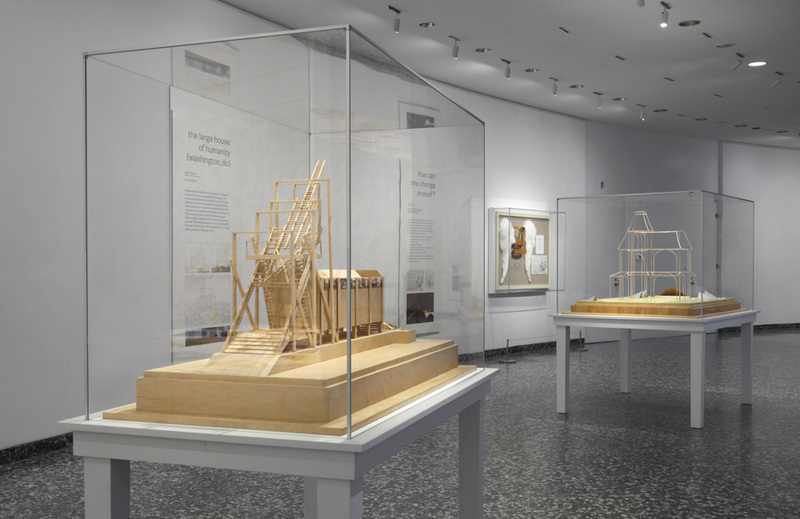 The exhibition brought together more than twenty models and maquettes for projects both imagined and realized, offering key insight into the Russian-American artists’ approach to large scale installation art. The Utopian Projects included the model for The Man Who Flew to Space from His Apartment which was previously been installed in full scale at the Hirshhorn Museum during the Kabakov’s 1990 exhibition Ten Characters. Exhibition photography by Cathy Carver.